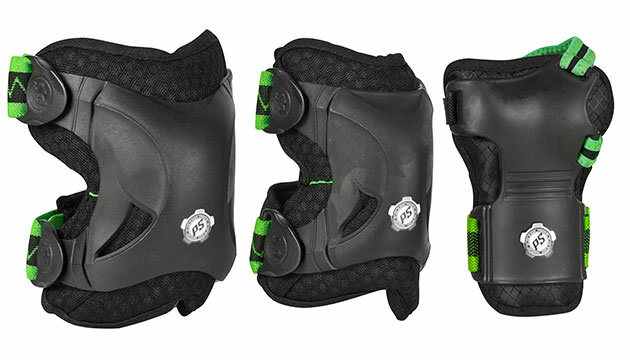 The Powerslide Protection Set Phuzion is made for the cross skater with high demands. It has an outstanding anatomical shape and offers all around knee- and ellbowprotection. The Phuzion protectors are very easy to put on. Once you have set the velcro straps to your individual needs then all you have to do in the future is use the clip-strap-system. This is done in a few second. All cross skaters that workout more often will love this clip-strap-system. The materials and the construction of the protectors ensure good ventilation.